Another good addition to the warehouse: a full speed, meat shredder big f... minigun! Time to let it spin! 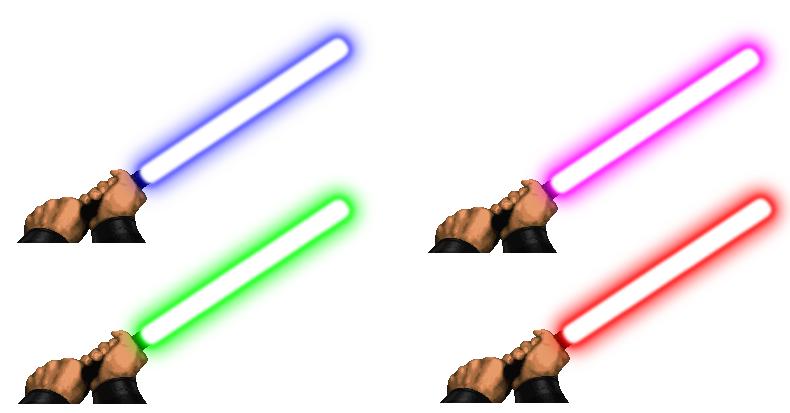 Lightsabers added to the Melee Section! 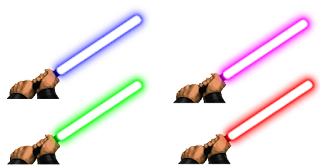 In order to celebrate the release of Star Wars Ep VII, lightsabers are now available to the downloads section! Get them now and may the Force be with you! Three new weapons and update on page layout! Normally, i wouldn't do two updates in a row in the very same day, but since my friend Jason sent me more weapons to be hosted here and i was already changing some things in the page layout, i said "why not?" and here we are! Three new guns added to the arsenal (two automatics and one shotgun) plus a little update in the color scheme of the page! Hope you enjoy! Two new plasma weapons added today! The Plasma Rifle Mk.2 and the BFG10K are now added to the warehouse, for your delight. Lots of particles and dynamic lights included! What are you waiting for? Get them now! A new shotgun was submitted by a close friend called Jason. This is an over/under shotgun with a great stopping power, and is now available to public download at the Shotguns/Rifles section of the Warehouse! New Berettas added to the Handguns section! A new weapon added to the Arsenal. A pair of good old Berettas, using Xaser's synthfire script made for his Parkour mod that allows a true dual wield experience. Download it at the Handguns section right now! I'm back with more updates. This time i brought the M870 shotgun, a pure classic that needs no introduction. Get that beauty on the Arsenal and have fun! New enemy added to the Foes section! New pistols added to the Arsenal! Another addition to the Arsenal, folks. This time i bring you guys two new pistols: Joshua Grahan's all favorite Honest Hearts 1911, ripped from Fallout New Vegas and the Mk 23 SOCOM Pistol, with a working laser sight included. Both can be found at the Handguns section of the Arsenal. Gatling Laser added to the Arsenal! New Weapon added to the Explosives section! The Arsenal got a new addition today: the all new M79 Grenade Launcher, inspired by the one featured on Capcom's Resident Evil 2. As a great fan of the game, i couldn't help myself but code a weapon that mimics its functions. Available on the Explosives section. New weapons and new sections added to the arsenal!! Three more weapons added!! The UAC Assault Rifle to the Shotguns/Rifles section, and the new Rocket Launcher and Phased Plasma Rifle opens the new Explosives and Energy/Fuel-based Weapons sections! Chain Saw added to the Arsenal!! Inspired by the Leather Face, a new chain saw replacement was added today to the arsenal. Filled with new custom sounds and the nice sprites, this is a neat addition to the arsenal. We now have 11 custom weapons available to the public!